I’ve been meaning to do a link-salad type post for a long time, and I just never came up with a catchy name for it. So: problem solved. I’m going to post this once a week. I’ll just put in the links I found interesting or funny or whatever, and I’ll try to keep away from the rage-inducing stuff. The danger of paying a celebrity to tweet about your phone. Expectations vs Reality in web development (pic) Also saw this one mentioned about film budgets. If you’re a writer, and you want to know the difference between “show” don’t “tell,” the NBC Olympics coverage is NOTHING but tell. Courtney Milan: Some Thoughts on Author Earnings Courtney doesn’t blog much, but, when she does, it’s amazing. See this post on historical romance print sales, complete with Harlequin royalty statements. Something warm and cozy for those snowed in this morning. #Catpurrcino (pic) Quite the doubletake. My Airplane Depressurized And Dropped 20,000 Feet Awesome tale. Last line FTW. 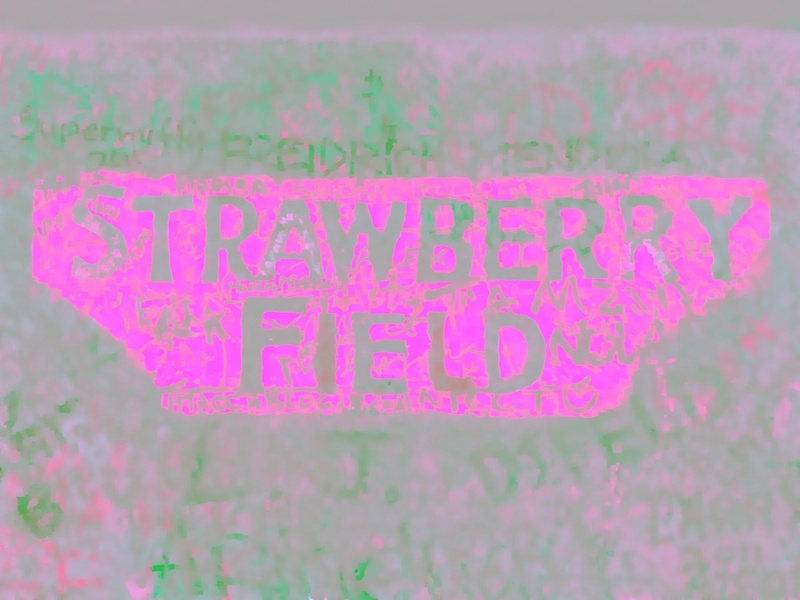 Strawberry Field (forever). Highly manipulated sign from Liverpool, 2011. Pic (mine) is below. Critically Endangered Amur Leopards Born at Prague Zoo So. Adorable. In the ladies’ room, #gally (pic) Probably also in the men’s room…. Polite reminder for straight people who say “who cares” when someone comes out: such gestures are addressed to lonely queer kids. not you. Seller mistakes Tengwar for Arabic on ring inscription. Not the Lord’s Prayer! Amazon review hilarity ensues. After looking at today’s shirt.woot.com: Rick: I need to go home now. Me: You are home. Rick: No. I think I need to go home now. Your shirt is red My shirt is blue Only one can beam up Can you guess who?